I have been doing a bit of cross posting recently, and I suppose that will continue, but this was too interesting to me to pass up. I really like how Baptist Pastor, Dr. Jim West, states this. I think his position is much more historical and more in line with Orthodox or Anglican view. I look forward to the discussion. Since I was queried the other day (in comments) about my definition I have been pondering the most appropriate, accurate, concise definition that I can come up with. And I think I have it. At heart, fundamentalism is heresy as it replaces God with knowledge and communion with the Heavenly Father with "reason". As advent begins I am inviting my readers to participate in some focused blogging on the Season. Try to reach above the shopping pressures and connect with the sense of preparation, just Who are we getting ready for? One more time we find ourselves at the beginning of another Church Year. Advent is almost upon us shortly followed by Christmas. May we live this Season truly, not as the secular world does, in sales, early morning shopping, over the top consumption. May we live it truly, deeply and may this season of preparation not leave us unchanged. In this time of year, American consumption becomes a Civic Virtue, and complaining about some seasonal temp at the mall wishing us "Happy Holidays" rather than "Merry Christmas" makes all the greed, pushing, and stress "Christianized" I suppose. This season is a time of preparation, what do you do to prepare your heart for Jesus to come once again? Since my children were little we gather in the twilight and read a special Vespers and light the Candles of the advent wreath. We give gifts to children whose families cannot afford them, we buy extra food for the Church's food outreach. What do you do? Celebrating Advent in the Home: A well-designed 4-page download-and-print booklet for celebrating Advent in the home. I have used this with my on kids since they were babies. Advent meditations, following the daily lectionary and written by members of the congregation of Trinity Episcopal Cathedral, Cleveland, Ohio. The achieve is also available as a PDF download. St Nicholas: Discovering the Truth about Santa Claus. A wonderful web site. 'St. Nicholas Center is a virtual center, a web site, where people can learn about St. Nicholas; it provides resources for families, churches, and schools.' 'St. Nicholas, lover of the poor and patron saint of children, is a model of how Christians are meant to live. As priest and bishop, Nicholas put Jesus Christ at the center of his life and ministry. His concern for children and others in need or danger expressed a love for God which points toward Jesus, the source of true caring and compassion. Embracing St. Nicholas customs can help recover the true center of Christmas—the birth of Jesus. From what I can tell, it appears that the first English Thanksgiving service in America was entirely religious and did not involve much feasting. It occurred on Dec. 4, 1619, when a small group of English settlers arrived at Berkeley Plantation, on the James River near what is now Charles City, Virginia. They came to an area unhabitated by other Europeans, though populated by natives. I often wonder how thankful to God those natives were. The grouping of 38 or so English had a charter that required the day of their arrival be observed yearly as a day of thanksgiving to God. So, as it began, I want to list items I am thankful to God for. I can worship God as I understand Him without fear. My home and country has not been invaded by people I don't share a religion or race with, whose technology overwhelms my own people's. My children can play outside without worrying about sudden death from occupiers. My home is safe from the intrusions of foreign soldiers. We praise and thank You, O God, for You are without beginning and without end. Through Christ, You created the whole world; through Christ, You preserve it. You made the day for the work of light and the night for the refreshment of our minds and our bodies. Here on the Communion table is an absolute Miracle. We have all been forgiven. we need to extend it to others. is the process of forgiveness itself. thinking, the fear-based thoughts, the projections – all go. come before the Communion table. Pick someone with whom you have had a difficulty. they are part of His Body just like you are. From God’s standpoint, they are forgiven just like you are. we have made on this journey. representative of the whole of humanity. 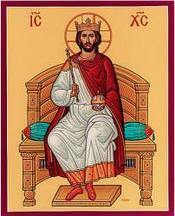 "This Sunday is Christ the King Sunday, the last Sunday in the church year and the day in which we commemorate that God's kingdom has not come in its fullness (next week with Advent One, we begin anticipating again)"
That is a quote from Rev Scott Jones, and it has really gotten me thinking. So many people wonder just what does the Kingdom look like? We ask each other, and try to model different things, however every so often shouldn't we just look to the King Himself? Jesus modeled Kingship over His community in a way so unlike the Kings humanity has produced. Servant leadership isn't something that we humans take to without a clear and compelling Example. So this Sunday, while we again think of how the Kingdom hasn't come in it's fullness, lets look begin to anticipate it once again, by looking only to the Wounded, Servant King. I hear people all the time arguing politics, points of view, theology, this, that or the other thing. So many times I agree with some one in theory, but their methods of "sharing" their point of view is so hostile, I simply can not hear them, nor bear to be involved with them. I think we need a bit more of ancient Desert Wisdom again. Let us pray for all who suffer as a result of conflict, and ask that God give us peace. 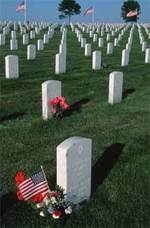 For the service men and women who have died in the violence of war, each one remembered and known to God. For those who love them in death as in life, offering the distress of our grief and the sadness of our loss. For all members of the armed forces who are in danger this day, remembering family, friends and all who pray for their safe return. 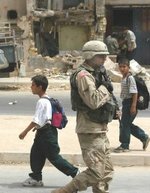 For civilian women, children and men whose lives are disfigured by war or terror, calling to mind in penitence the anger and hatreds of humanity. For all who bear the burden and privilege of leadership, political, military and religious; asking for gifts of wisdom and resolve in the search for reconciliation and peace. O God of truth and justice, we hold before You those whose memory we cherish, and those whose names we will never know. Help us to lift our eyes above the torment of this broken world, and grant us dignity as we pray for those who wish us harm. As we honor the past, may we put our faith in Your future; for You are the source of life and hope, now and for ever. Many years ago, I was present at a church service which included signing for the significant number of hearing-impaired people present. One of the readings was the first chapter of Genesis, on the first Creation story. Each of the happenings of the seven days was signed, and as this happened, I felt my hair stand on end. I was Feeling the Creation story for the first time in my life, Feeling bodily, viscerally, the Truth of that passage as the signer interpreted. The hymns and the Bible readings all sang silently of that bodily presence, but interestingly, it all sagged when the signer went to interpret the sermon. This because, I soon realized, the sermon was not poetry--it was (and so often is) intellectual prose that does not sing and dance as poetry does, and therefore does not yield to the emotional physicality of ASL, the language of the deaf. Your story of the priest realizing the blind man's need to physically experience the Eucharist beyond the customary resonated deeply with me, because of that experience so many years ago. That moment is a treasured moment in my life--what I didn't add was that since then, i have tried to connect worship with body. Friends of mine are sacred dancers and I have collaborated with them on several pieces for liturgy. You can access some of the scripts on my website: http://my.tbaytel.net/fergs/fergs/ . Go into the Writing page, then the Plays page. 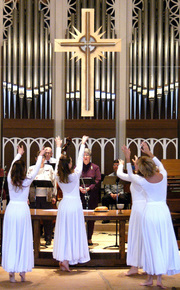 In Sheep's Clothing is a liturgical drama choreographed for liturgical dance. (back to M.I.T.) How can we incorporate ALL our selves in worship, our minds, spirits, and BODIES?! That is an excellent question! Can we dance with the Morning Stars in joy?